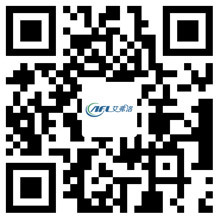 The Difference of The EC Fan And DC Fan - Hangzhou Airflow Electric Appliances Co.,Ltd. The EC fan refers to a fan using a digital brushless DC rotor motor or a fan with an EC motor. EC (Electrical Commutation) motor power for the DC power supply, built-in DC variable AC (through six inverter modules), the use of rotor position feedback, three-phase AC, permanent magnet, synchronous motor. (DC brushless only power quality and motor appearance, not the essence of the motor, EC motor is essentially three-phase AC permanent magnet synchronous motor). EC motor for the built-in intelligent control module DC brushless maintenance-free motor, comes with output interface, sensor output interface, speed switch output interface, alarm device output interface and master and slave signal output interface. The product has a high intelligence, high energy efficiency, high efficiency, long life, low vibration, low noise and continuous uninterrupted work and so on. DC brushless motor is a synchronous motor, that is to say the motor rotor speed by the motor stator rotation magnetic field speed and the number of rotor (p) impact. In the case of a fixed number of rotors, changing the frequency of the stator's rotating magnetic field can change the rotational speed of the rotor. DC brushless motor is the synchronous motor with electronic control (drive), control the stator rotation magnetic field frequency and the motor rotor speed back to the control center repeated correction, in order to achieve close to the DC motor characteristics of the way. That is, DC brushless motor can be in the rated load range when the load changes can still control the motor rotor to maintain a certain speed. The EC fan is powered directly from the mains and the DC fan needs to be powered by the DC power supply, so the DC fan unit needs to increase the DC power supply and increase the investment cost. DC fan unit additional DC power supply, a number of DC fan from one or more than one DC power supply, once the DC power supply failure, then all the fans are unable to work, the room caused irreparable damage.